Ethan and Casey, I am praying for you and your family right now. Like most people, I wonder about the whole…why does God allow horrible things to happen to His children, and a sermon on Lazarus helped me out. In verse 45 it says, “Many of the Jews therefore, who had come with Mary and had seen what he did, believed in him…” God can and does use bad situations to bring others to Him. So while Mary and Martha had to lose their brother and go through that, God still had a plan and a purpose to not only care for them, but a multitude of others as well. I don’t explain it as well as the person from whom I heard it, but it does help sometimes. God knows what He is doing. Period. If you are a kid now, I guess your gonna be a preacher/teacher when you grow up. so thankful for your family and your words of encouragement in the Lord. I really PRAY your show comes back!! my husband and i miss it so much. Dear Ethan and Casey. I will pray that whatever is causing you stress is only temporary. Prayers for your beautiful family coming from the other side of the planet. God Bless you all. I will not jump to the conclusion that others may have that it is you and Casey splitting up and Eliot who has to face life’s “harsh realities” because it is my fervent hope that yours is not that marriage. I will say that no matter the battle you are in, no matter the messiness of life today and no matter how tough it is, do life as GOD would have you do it — the instruction manual is the Bible — and follow that to the “T” and you will come through it fine. It’s not just the victory of coming through the fight, it’s the battle itself and how you rest in the Lord during the battle. If you do it right, it is not you going through this. 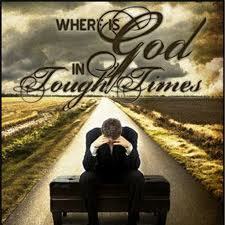 It is the Lord going through it with you resting on His shoulders. Just do what the Bible tells you to do, and never try to do it yourself. Rest on the Lord’s shoulders and trust Him to carry you. Messy and painful are His specialties: He’s been there, done that, got the nail scars to prove it. It’s not the easiest thing to do, but sometimes it’s best to just take our hands off of the situation and say, “I surrender it, Lord. You do this because I can’t.” Then truly let it go. Otherwise it’s like getting a three-year-old to give you back the lollipop he wishes to finish: he’ll hold it out to you, but he won’t let it go! Messy = us trying to control what GOD is trying to do via the situation. Trust Him. Trust His goodness and His desire to bless you and prosper you and that His burden is light and He will give you rest. I don’t know what battle you are in, what blindsided you, but I do know that GOD knows what it is and that He is better able to cope with it than you or anyone else. He is in control of it. He is capable of fixing the problem. He knows the motives of the person/group/company who blindsided you and He is able to make them just go away, decide not to pursue whatever, to apologize even. Trust GOD with it. Yes, all the scriptures you quoted are true and are all applicable. Remember this one, too, though: “Jesus wept.” Cry out to Him and don’t hide your feelings, frustrations, hurt from GOD. He can heal you as He deals with this whole thing. Sometimes I think that’s why He allows us to go through the things we do: to open up to Him and to draw closer to Him. Sometimes GOD knows we need to be closer to Him, He wants to spend that time with us, and He knows that there is where we grow the best. Don’t forget that when you are going through a tough time it’s probably because GOD TRUSTS YOU to go through it and to totally rely on Him to get through, and to handle it the way He has already instructed. Ethan, GOD trusts you to handle this with His help. No matter what it is, GOD is there with you, for you, in your stead (as on the cross). 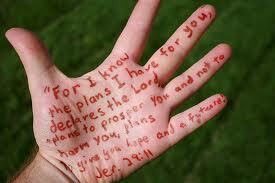 He has you in the palm of His hand and He will not let you fall. Rest in that. Sit back, close your eyes and rest in the loving arms of GOD who loves you so much. Messy is tough. GOD is tougher and He’s got you. I will be praying for your family, immediate and extended family. Turn these things over to the Lord. When you pick it up again out of habit, turn it over again….and again. He will never forsake you. God Bless. I remember going through some tough times myself. I remember asking “why am I going through this” and “when will this ever end?” To be honest, it didn’t end after falling down on my knees in prayer, and it didn’t end after I gave up hope. No–it just ended one day, and I was left to pick up the pieces. This moment, I believe, was what really defined me. Rather than continuing to blame God or to hide what had happened, I trusted in him fully and moved on with God’s direction. What does that give me?–I can tell people “I’ve been there.” And because I can say that, they know it will end one day for them too. Sometimes, I think this is why we go through some things…to help others. I am so sorry you are having such a hard time. I will keep all of you in my prayers and just keep your faith strong. 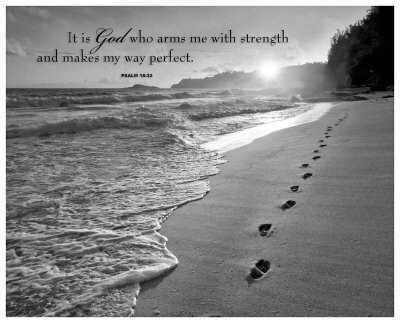 I know sometimes it’s hard, but God is the only one who can get us through the hard times. Take care and God Bless all of you. Tough times are actually the most blessed of times for they force you to think and learn. That is what life is all about. If you had it easy you wouldn’t learn anything. I lost three family members and a beloved pet in a three and a half year span. I moved and lost touch with my foster child who also moved. Somehow I got through all that but I still mourn for those losses. What I learned? I don’t fear death or change anymore. They are just a part of life. Hang in there Ethan. The “successively” part: think of Job. He lost his family, his cattle, his house, his everything. That’s “successively”. The reason GOD allowed it to happen is to prove his faithfulness. 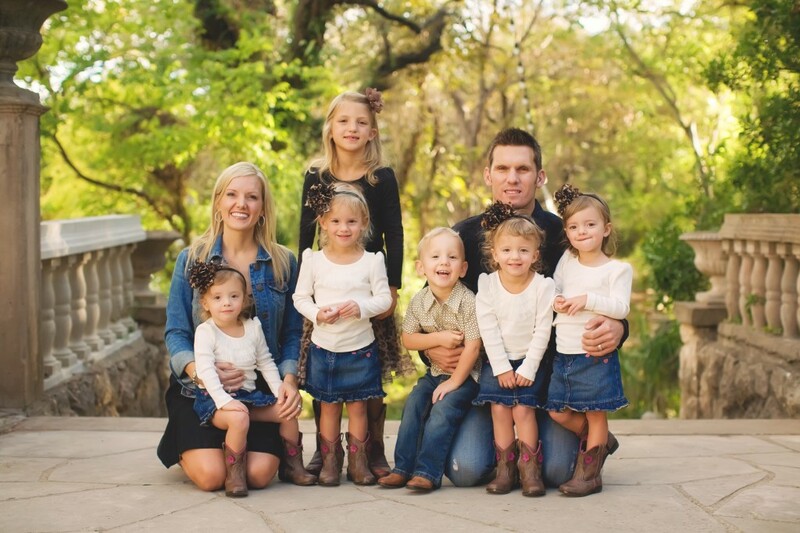 The question — if this family is a Christian family — then becomes, “How can this family be faithful to GOD through this difficult time?” How can they stay together? How can they prove that they will rely on Him to get them through? How can they teach their children that even though tough times come, it’s still better to stay together than to allow the tough times to tear the marriage apart, the family apart and, thus, teach the children that when the going gets tough, they should give up. I speak from some experience in “tough times”. Five years of tough times to get through and divorce seriously discussed (no infidelity on either part was committed, but it was still tough). But the reality is that we are Christians and we don’t believe in divorce so we stuck it out. Now, our marriage is better and we are truly so very glad we stuck it out. Our sons learned a valuable lesson and we learned to trust in GOD and to honor what we vowed before Him during our wedding. The “successively” also teaches us that although we are in a spiritual warfare battle with the enemy. Several attacks one after the other, after the other, after the other is usually a winning combination. That’s when the family should realize that it isn’t a battle of finances, or personalities, or desires, or differences they face: it is a battle of spiritual dimensions and they need to work together to defeat it. Claim the blood of Christ, get into the Word, learn who they are in Christ Jesus, claim that power — sons and daughters of the Most High GOD — and do the battle with Ephesians 6:13-14, the Full Armor of GOD. They can be victorious and they CAN get through this, “I can do all things through Christ who strengthens me” (Philippians 4:13). This is a spiritual battle and if they go in unprepared, without the full armor of GOD and without realizing that it’s a spiritual battle and not a physical one, they may still win, but they will have more scars than necessary. Help them through this via doing battle in the spirit for them, and teach them (especially if they are Christians) to see the enemy’s battle plan in this. If they have no ears to hear and eyes to see (as in Ezekiel 12:2), they will flail without knowing at what they are aiming, nor at whom to swing. I hope this helps, Ethan. If this couple is a Christian couple, get them together over dinner and talk to them about the truth of what GOD’s word says about their marriage, about the vows they made and about the impact the loss of their marriage will have. Tell them about the spiritual battle they are being engaged in (possibly without their realizing it) and encourage them to stand strong and firm. 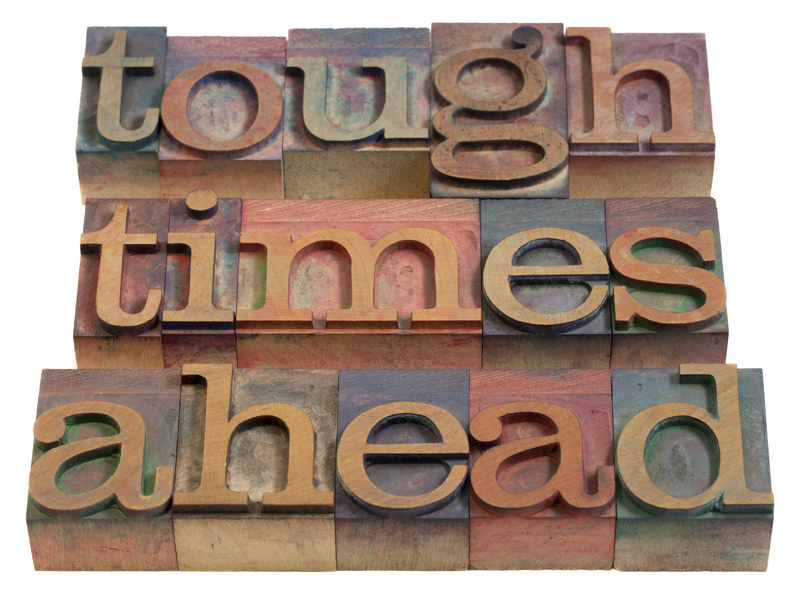 Tough times do pass. 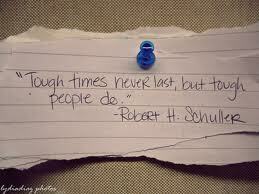 Tough people do win. Tough marriages do recover. It’s not too late if GOD is in the middle of it. I was just looking to see when your show would be back on and remembered enjoying your blog in the past. I was pleased to see your show would be back on NEXT WEEK (!) and decided to read through the newer posts. This one struck me, especially, “Rather, the question for me/us in this moment is why bad things happen successively to people and how are we as Christians supposed to glean from the hard knock lessons of life when they keep knocking us down over and over again.” I’m glad your update stated your family was getting back to normal – normal is nice! I’m sure it’s a questions we all struggle with at some point. Usually, I’m able to find the silver linings and life lessons in every situation, but we’re once again be knocked down and set back due to my health issues. This happened the first time after we were married 6 six years ago -about to start our family and bam, emergency surgery, near parilization, being told not to have kids, and almost a year to get close to normal, dealing with minor pain daily (managable and so minor when compared to what could have happened). Okay, we had originally planned to have one or two kids and foster/foster to adopt two more, so we’ll just foster/foster to adopt all. More kids we can help, right. Well, I can’t do a lot of lifting, so we’ll foster to adopt preschool and older kids – they’re usually overlooked for babies, right? But first, we needed to dig ourselves out of debt. Went from being newlyweds with two jobs, great plans, and lots of hope for the future, to me having to suddenly stop working, losing our home, drowning in medical debt and making no headway on hubby’s student loans. Worked through my year of physical therapy and decide to find a job where we can live onsite, as commuting twice daily would be difficult for me. We find one and shortly after, hubby is laid off from his job – he quickly finds another, thankfully, but in exchange for it being a more recession proof career, quite a major cut in pay. So our plan to dig out of debt will just take a little longer…we’ll get there. My job allowed me some flexibility and I taught myself to decorate cakes (my nieces and nephews are to blame for igniting this passion) and I was able to launch a local non-profit that makes free birthday cakes for children in shelters, foster care, and families going through difficult times and can’t afford or wouldn’t have cake otherwise. I figured it was my way to help kids in the meantime, donating both my decorating talent and time, along with handling the admin side to grow and manage the non-profit. And that’s the road we were on, until two months ago, major pain started again and we’re once again playing the waiting game, seeing doctors, specialists, pain management, etc, trying to find what exactly is going on and what can we do to fix it, while bracing to be told surgery is needed again. At this point, the only silver lining I can see is that we’re helping the family of one of our volunteers. She and her husband were recently laid off and just had to give up their apartment and move in with her parents. I can no longer work daily, but we can’t lose this income and the home that comes with this job, yet – so we hired her husband to run the office. We have to pay him from our pay, so with the medical bills coming in, things are getting tight and not much extra is able to be thrown at the car or student loans, but our apartment is still free, which is a great help. Plus, we took in my mom two years ago, when she was laid off, so it’s not just us that would be suddenly homeless if we had to quit. Our goal was to stay here until we’re debt free. This latest thing is scaring us that it’s going to be a lot longer, if we can even keep it. We don’t know if they’ll keep us on if they feel our site’s performance is down. Okay, my reponse that was just going to be a paragraph or two turned into a rambling with tears streaming down my face. Guess this really did strike a cord with me and I’ll just stop and hit submit.